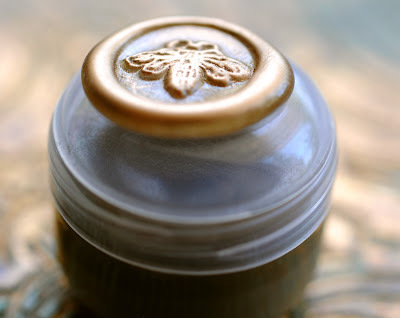 The color of To Bee natural liquid perfume is like a rich, dark molasses. Master Gregorio, my husband, tells me this is a "bad" thing. Me personally I am not sure. Indeed, most main stream perfume is a typical golden yellow hue and it is what is expected in the industry. However, I do not feel that I am part of that world. I set myself apart, as an artist working with the worlds most glorious and vital palette, Mother Nature. Inherently in the natural world we have many things that are dark. In the food industry there is heavily processed white flour and the more nutrient rich grain flours. We also have dark chocolate as well as white chocolate. Honey from a local beekeeper will vary depending on the flora available to the bees, buckwheat and some manuka honey is dark and full of flavor. There are different grades of maple syrup depending on their level of refining. Refining, what an interesting word...re-fine. The dictionary defines it as to remove impurities and make more fine. In modern culture however, we have redefined more fine as something that contains more nutrients and vitality. We noticed that the process of refining often leaves us with a product like Wonder Bread versus the whole grain, artisan crusty breads we seek today. Even the solid version of the To Bee has a Delphian aura to the creamy ungent. Will that stop people from slathering it on their skin and enjoying the aroma? I think not, already proven by the praises heard across the world and repeat purchases. I'll follow my gut on this one and not concern myself over the absence of obvious light in the appearance of the fragrance, in the end it's all about the juice anyway. 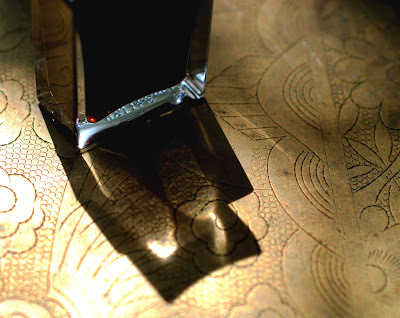 By the way it is the clover absolute and some of the other viscous botanical essences in the potion that is producing the opaque brown umber tonality. Even after filtering the elixir remains mysterious and sunless, just the way the bees like the insides of their living quarters. I actually love the deep color of the juice, I have warned people not to wear white or light colored clothing when using the liquid, but that's the only caveat. I think the color matches the scent, which matches its inspiration. Please don't mess with the juice! One of the (many) things I love about my precious bottle of Green Witch is how the natural essence blend to make the colour of the deepest ocean. It would feel less magical to me were its natural hue neutered. I *must* try the Bee potion. Thanks so much Carrie. The color of To Bee I don't think is a challenge for light colored clothing. The only perfumes where that has been a challenge are the chocolates, which are out of stock at the moment. EarthAngelsArts and Maggie, I really appreciate your support, thank you. Grace, so nice to have you stop in for a visit. I don't plan on messing with the juice. It is interesting to me though that my husband was so adamant about the color being an issue. Maybe if I had to answer to stock holders and investors it would. I have a feeling To Bee will be right up your GW alley. Many people are telling me its their new fav.